December 4th 1990. The day that the 5-foot-3-inch Tyrone “Muggsy” Bogues dunked. Or did he? There are more than a few sources out there that claim Muggsy Bogues dunked during a pregame warm-up session on this day, but without video evidence, it is difficult to confirm. First, with a reported 44 inch vertical jump, he would be able to get above the rim and dunk a basketball. Second, Muggsy Bogues himself has claimed he could dunk on numerous occassions. In an interview with Coach Mag, he said “I never dunked in an NBA game… but I can dunk a basketball no problem”. 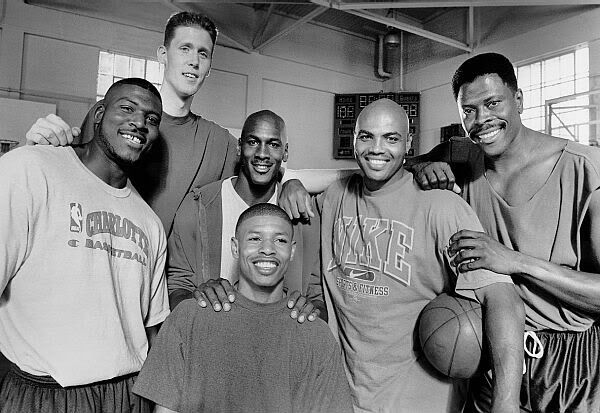 Chuck: Muggsy be honest with me. Can you dunk? Muggsy: I tipped one in college and dunked in high school. I can still touch the rim. I’ve always been a guy who has been able to get off my feet. I’ve still got a little hop to my game. If he could dunk in high school, there’s good reason to believe the spectators of the December 1990 pregame session weren’t making things up. After all, he was in his prime at that time. So, Muggsy Bogues could dunk. Find out how I increased my vertical jump by 10 inches and landed my first dunk with Vert Shock! The next question to ask, then, is why didn’t he ever dunk during a NBA game? The answer here is much more simple. Dunking during an actual game would be difficult, unnecessary and energy-consuming. 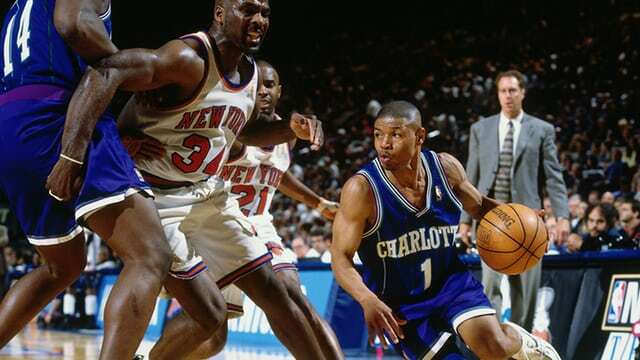 Muggsy played to his advantages of being a small guy on the court. He earned his reputation as a defensive menace, a quick and agile pest in a field of giants. He became an icon in the Michael Jordan era and appeared in the fan-favorite 1996 film, Space Jam. Given the fact that Muggsy Bogues didn’t ever dunk in-game, the title of “shortest NBA player to dunk” belongs to Spud Webb. Measuring just 5-foot-7, Spud Webb not only dunked in games, but even won the 1986 NBA Slam Dunk Contest. He defeated Dominique Wilkins in the final round with two perfect 50-point scores – a feat very few other players have achieved. Muggsy Bogues cemented himself as a NBA legend, but not for his dunking. Time will tell whether super short point guards like Muggsy Bogues will make a comeback to the NBA.